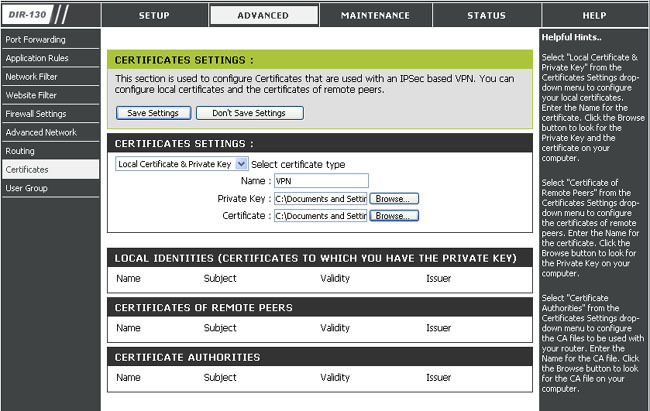 How do I install Local Private Certificates on D-Link DIR-130/330 Router? Step 1. Log into the browser of the D-Link DIR-130 router.Default User Name:admin.Password:(Blank). Step 2. Select Maintenance and Date and time. 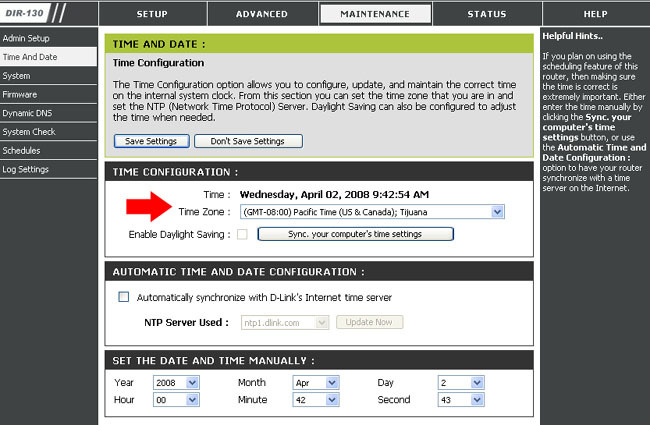 Make sure your date and time is synced to your computer or NTP and is showing the correct date and time. Provide a Name for your certificate. Browse and select key from where you saved it on your computer. Browse and select the certificate from where you saved it on your computer. Step 5. Verify certificate is valid.